Fluid-structure interaction (FSI) is a multiphysics coupling between the laws that describe fluid dynamics and structural mechanics. This phenomenon is characterized by interactions – which can be stable or oscillatory – between a deformable or moving structure and a surrounding or internal fluid flow. When a fluid flow encounters a structure, stresses and strains are exerted on the solid object – forces that can lead to deformations. These deformations can be quite large or very small, depending on the pressure and velocity of the flow and the material properties of the actual structure. 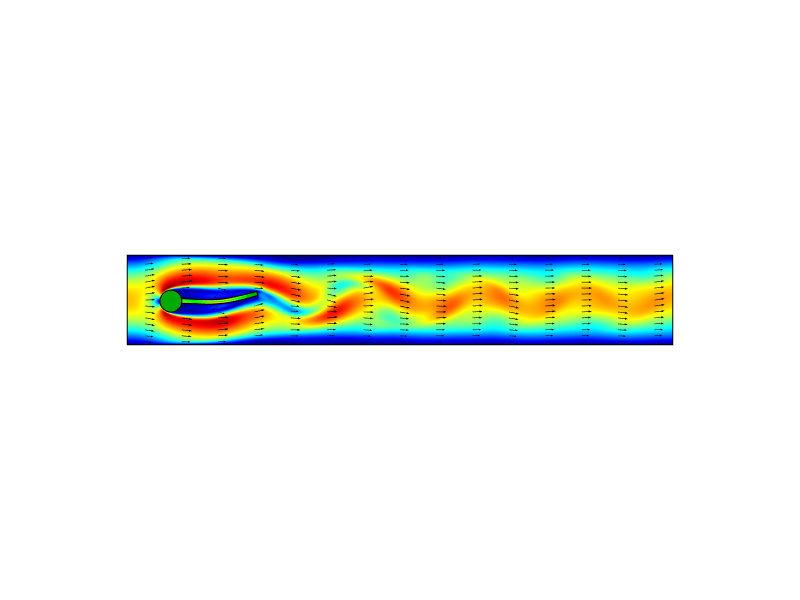 This model depicts the velocity field and von Mises stress in the structure. If the deformations of the structure are quite small and the variations in time are also relatively slow, the fluid's behavior will not be greatly affected by the deformation, and we can concern ourselves with only the resultant stresses in the solid parts. However, if the variations in time are fast, greater than a few cycles per second, then even small structural deformations will lead to pressure waves in the fluid. These pressure waves lead to the radiation of sound from vibrating structures. Such problems can be treated as an acoustic-structure interaction, rather than a fluid-structure interaction. Yet, if the deformations of the structure are large, the velocity and pressure fields of the fluid will change as a result, and we need to treat the problem as a bidirectionally coupled multiphysics analysis: The fluid flow and pressure fields affect the structural deformations, and the structural deformations affect the flow and pressure. The presence of fluid produces von Mises stress in the steel container. In design, you may either want to exploit or avoid significant effects of fluid-structure interactions. Industrial mixers, on the other hand, have moving parts, but the stirrers can be considered essentially rigid parts that agitate a fluid. When analyzing such systems, the mixing efficiency is the most important quantity to compute. It is possible to compute the stresses in the stirrers, if the designer is concerned with that. 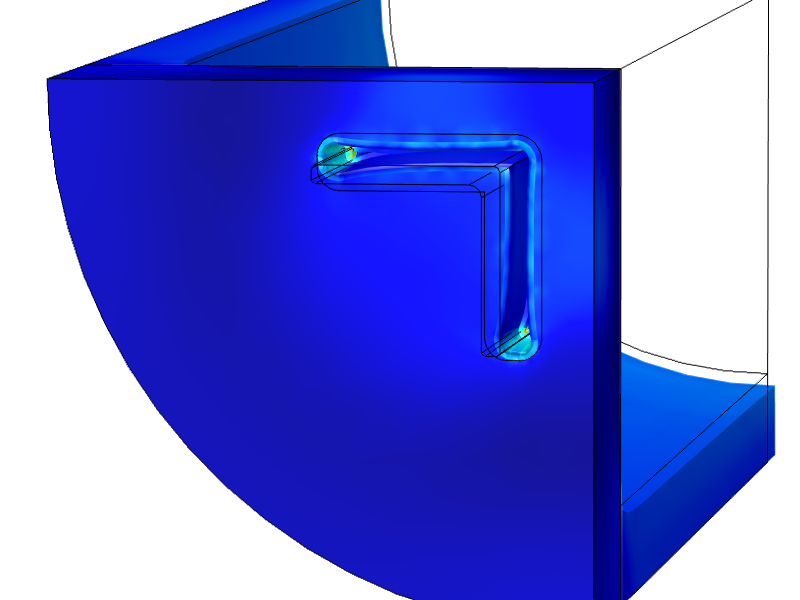 The solid structures can even be treated as entirely stationary obstructions in the fluid flow, with an objective of computing the stresses in the solid materials. When modeling such systems, there are a variety of appropriate modeling approaches available. You may need to model both the Navier-Stokes equations for fluid flow as well as the solid mechanics equations for the deformation of a solid body. The Navier-Stokes equations can be solved in various forms for different flow regimes. 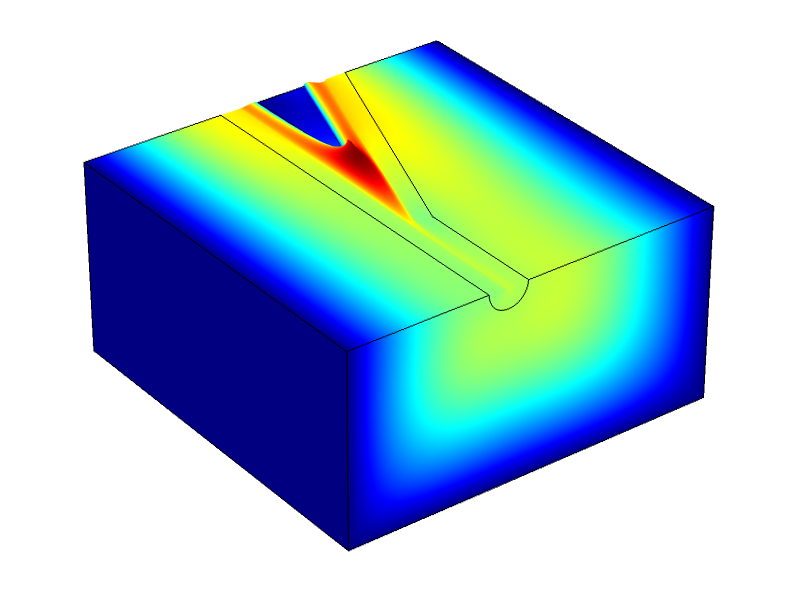 It may even be possible to simplify the modeling of the flow as a thin film to model lubricating films. The structures can be treated either as rigid, experiencing small deflections that are negligible to the fluid flow problem, or as having large deflections that significantly affect the fluid flow. A torquing action causes displacement in the micromirror. 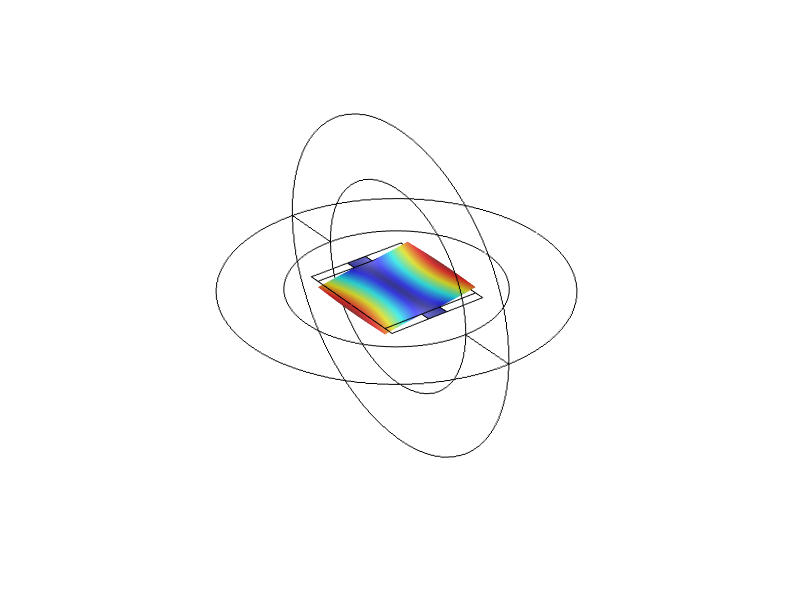 A model highlighting elastic deformation. Choosing the appropriate combination of modeling approaches for each situation is the key to solving fluid-structure interaction problems.